At the outbreak of the Great War, the spirit of adventure reached the Caribbean Islands. Men of all races began to present themselves to recruiting centres to volunteer. The establishment of the Regiment was very hierarchical reflecting the nature of Caribbean society. All senior positions in the force were occupied by Europeans while men of other ethnic groups made up the bulk of the lower ranks. Initially men from the various islands formed drafts for individual units within the Imperial Army. However, as time went on, the number of volunteers increased to such a level that individual companies from the Caribbean were formed. Although all the companies trained separately, the first muster as a full Regiment occurred in November 1915 at Seaford, West Sussex. "A" Company - from British Guiana (now Guyana). "C" Company - from Trinidad and St. Vincent. "D" Company - from Grenada and Barbados. In addition to these men, a further contingent of 725 men came from Jamaica, British Honduras (now Belize) and Barbados. With the addition of these numbers the regiment was expanded to four battalions. 661 Lance Corporal McCollin Leekam of Trinidad awarded the Military Medal by General Chaytor. 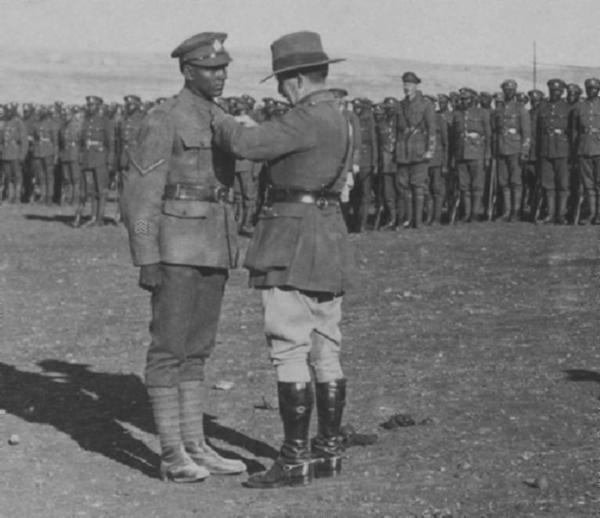 While the various battalions saw service in East Africa, Egypt, Palestine, Jordan, France, Italy, and in Palestine, two battalions were deployed as part of the Egyptian Expeditionary Forcee. 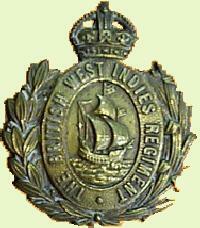 The units involved were the 1st and 2nd Battalion, West Indies Regiment. Initially the men were primarily involved in ambulance and labouring work in the Sinai but after the withdrawal of British units from Palestine in March 1918 due to the German offensive, the troops were placed into the front line sharing duties with the other troops. The first deployment was in the Jordan Valley where the 1st Battalion relieved the 3rd Light Horse Brigade.